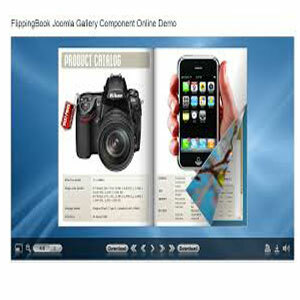 FlippingBook Gallery Component For Joomla allows you to build stunning flash books on your site in minutes. Prepare images for your book, upload them to the server and create a book in several mouse clicks. Sometimes a large PDF document doesn’t reach the intended recipient by e-mail. Sometimes a user’s Internet connection is too slow to allow them to download the file. When this happens, your customers won't learn about your latest offers, and you may lose them. FlippingBook Gallery Component For Joomla CMS – Professional improves your connection with your customers. 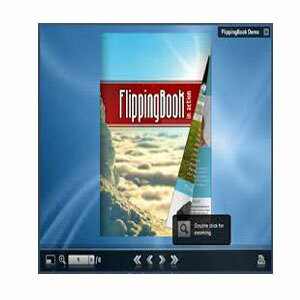 It makes files of any length and size viewable on any type of device without obstacles. It makes your clients feel that you care about their comfort. 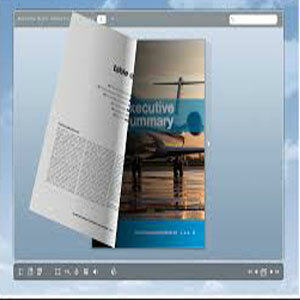 All content of the book is visible on non-flash computers and mobile phones. The automatically created HTML version of the book allows search engines to index the content of your book. Each page of your publication will be indexed as separate web-page. The administrative part of the extension lets you create books in a matter of minutes – no programming or design skills required. All you need to do is load the image files, create a new book and assign page numbers to the files. The administrative interface is simple and intuitive meaning you do not need any prior experience with Joomla! Gallery Component to install and set it up your photo album. 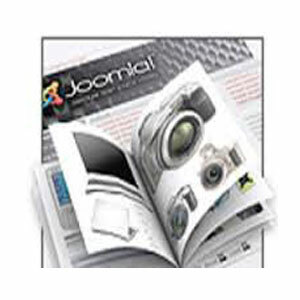 FlippingBook Joomla Gallery Component works on web-servers with installed Joomla CMS. To install Joomla 1.5 (1.6) you will need the Apache 1.3 (2) or Microsoft IIS 6 (7) web server with PHP 4.3.10 (5.2) or highter and MySQL 3.23 (5.0.4) or highter. 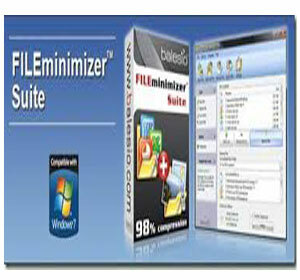 FILEminimizer Suite compresses PowerPoint, Word, Excel, PDF and image files by 50-90% without zipping. The software sports an intuitive interface and lets you optimize the size of your Office files (97-2013), PDF documents as well as your JPG, TIF, BMP, GIF, EMF and PNG image files without changing the native file format. The optimization is visually lossless preserving the original visual quality of a file at all times. It integrates into Microsoft Office and into your email program (supports Microsoft Outlook and Lotus Notes clients) to optimize your office and image attachments directly before sending. You can easily bypass email size limitations and won't clog up your recipient's inbox. It relieves Microsoft Exchange and Lotus Domino email servers by 50-90% optimizing the whole email infrastructure in corporations. Whenever you need to send an image file or document through email, you may come up with a problem. Most email services have a maximum allowed size for the email's attachment file and in case the document or image file is larger than the allowed size, the email will not be sent and an error will be received by the user. Fortunately, there is a solution for lowering the size of any image or document. 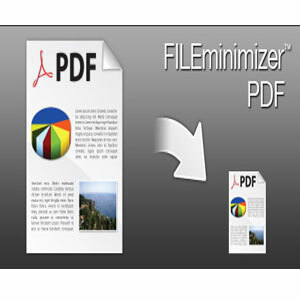 This is now possible by using FILEminimizer Suite 7.0, a Windows application which allows you to reduce the size of almost any image file or document, without compromising its quality and functionality. Emsisoft Anti-Malware for Server contains the same functionality as Emsisoft Anti-Malware, but optimized for use on server operating systems. 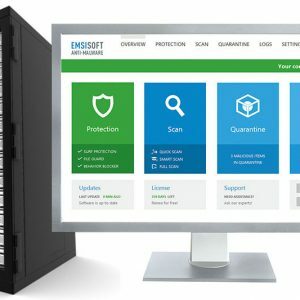 Best protection for your servers: Emsisoft Anti-Malware for Server protects your server immediately after booting, even when there is no active user logged on. As an administrator you are also able to use the handy email notifications, which inform you automatically when push comes to shove. Extras for pro's: Emsisoft Hijack Free: Emsisoft HiJackFree is a detailed system analysis tool designed to help advanced users to detect and remove all types of HiJackers, Malware, Spyware, Adware, Trojans and Worms. Emsisoft Commandline Scanner: Perfect for automatically scanning certain files. The included Commandline Scanner offers all functions of the Emsisoft Anti-Malware scanner and both the top scan engines, but without the graphical user interface.